New Zealand development representative Bradley Down has already experienced a number of high points in bowls despite being just 19 years old. 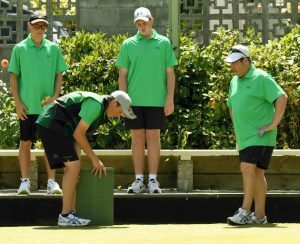 He received another big buzz when he skipped a side comprising his father, Graham, Finbar McGuigan and Caleb Hope to one of the biggest upsets of the New Zealand bowls championship when they beat Ali Forsyth’s dream team in the opening round of section play in the fours in Dunedin last Monday. 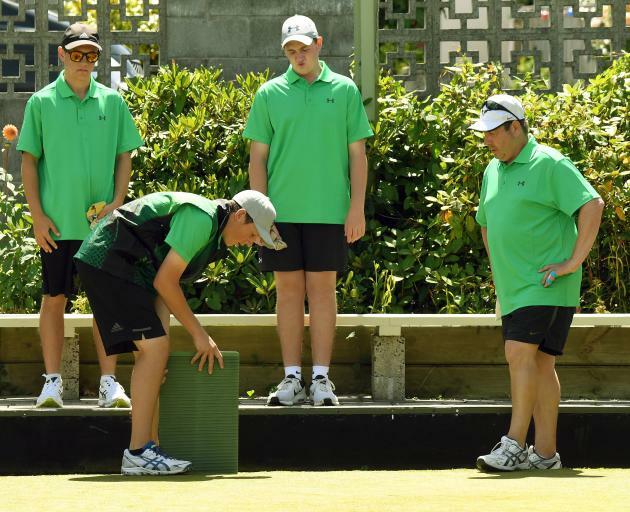 Down junior, who has already won three Wellington titles, plays for the Victoria club in the capital these days, but Plimmerton is home and still the base for his father and McGuigan. Hope, from Gore, joined the trio in their outstanding 16-12 victory over Forsyth’s dream team and eventual champions of Justin Goodwin, Shannon McIlroy and Gary Lawson. A four on the sixth end gave Down’s side the edge and, aided by two threes during an otherwise low scoring match, that advantage remained three shots when the hooter went on the 16th of the scheduled 18 ends. With the jack in the ditch, Forsyth held three but Down managed to take the initiative back before Forsyth’s final runner narrowly missed. Down continued to impress in beating Scott Roberts and Dean Elgar 21-6 in the third round of post-section in the pairs but their story was in the previous game, when they overcame Tony Grantham and Michael Kernaghan 15-11. Down led for the majority of the match, although the margin was only two shots playing the final end. Grantham called the tune on the last end, drawing three shots, but Down, under pressure, trailed the jack to secure victory. In the pairs quarterfinals, Shannon McIlroy overcame a couple of nervous moments late in his 16-13 triumph over Bradley Down. He had already accounted for Down 21-8 in the round of 16 of the singles.